The crisis Adama is referring to began in March 2012, with the occupation of the north of Mali by non-state armed groups fighting against the Malian State and its military. In 2015, despite the signing of peace agreements, the crisis shifted to central Mali, which has increasingly become the focus of instability and violence within the country. The activities of non-state armed groups in the Mopti region is not the only reason for the instability. In some areas it has combined with local conflicts between the Fulani community, who mostly make a living from livestock, and the Dogon community, who are mostly farmers. Military operations have been ongoing in the Mopti region for several months, with the support of French[i] and United Nations[ii] military forces, and the G5 Sahel[iii]. Malian military authorities have also imposed a number of public order measures, including curfews and a ban on travelling by motorcycle and two-wheeled pick-up vehicles. All of these factors have combined to restrict people’s movements, making it hard for them to get medical care when they need it. 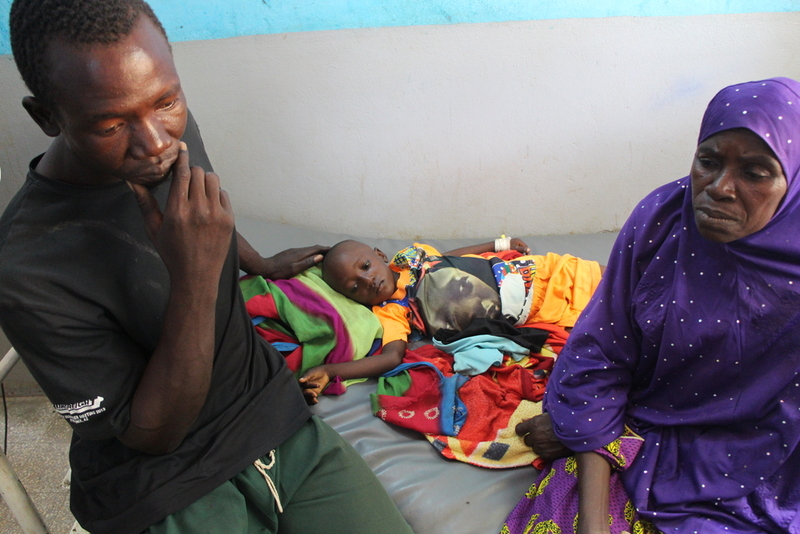 “It's difficult because we don’t have any health workers in the village and the nearest medical facility is 15 km away,” says Ousmane, who has brought his five-year-old son, Soumaila, to Douentza for treatment for severe malaria. “We made it to Douentza town in a cart,” he says. Ousmane Yalcoué, 34, a farmer, travelled the 15 km to Douentza with his five-year-old son, Soumaila, who was suffering from severe malaria. Douentza is their closest health centre. Because of the violence and insecurity, many organisations providing healthcare, including public health providers and aid organisations, have either reduced activities or left the region completely, especially those rural areas where the conflict is at its most intense. This experience is shared by the MSF team supporting the hospital in Ténenkou, in the west of the Mopti region and near the Niger River. The river and its tributaries regularly flood during the rainy season, cutting off many villages and making travel almost impossible. “The limitations caused by the prevailing insecurity today compound the chronic obstacles that rise during the rainy season. Every year between July and December, entire regions become even more isolated than usual, cut off from connecting roads because of the floods,” says Frédéric Demalvoisine, MSF head of mission in Mali. In response, MSF is sending its medical teams to reach those isolated populations cut off from health services. In the Douentza district, MSF has expanded its activities to three health centres in the rural areas of Boni, Hombori and Mondoro, where people are often prevented from travelling to Douentza by fighting. From August 2018 to January 2019, MSF teams provided more than 21,800 medical consultations in these three locations. In the Ténenkou district, they run mobile clinics to provide basic healthcare and arrange for the most severely ill patients to be transferred to Ténenkou hospital. They regularly travel for instance to Diafarabé, south of Ténenkou, where hundreds of displaced people have settled since last November following an armed attack on the village of Mamba. Some 11 people were reportedly killed in the attack. Looking ahead, the humanitarian challenges remain enormous and MSF plans to continue to reach out to isolated populations deprived of healthcare by the deteriorating security situation. MSF supports health services and provides patient referrals in the Douentza and Ténenkou areas of central Mali’s Mopti region. MSF has also started supporting three community health centres on the outskirts of Douentza and is helping to send health workers specialising in malaria to hard-to-reach communities in the Ténenkou area. MSF also runs mobile clinics in areas where people have limited or no access to health centres. 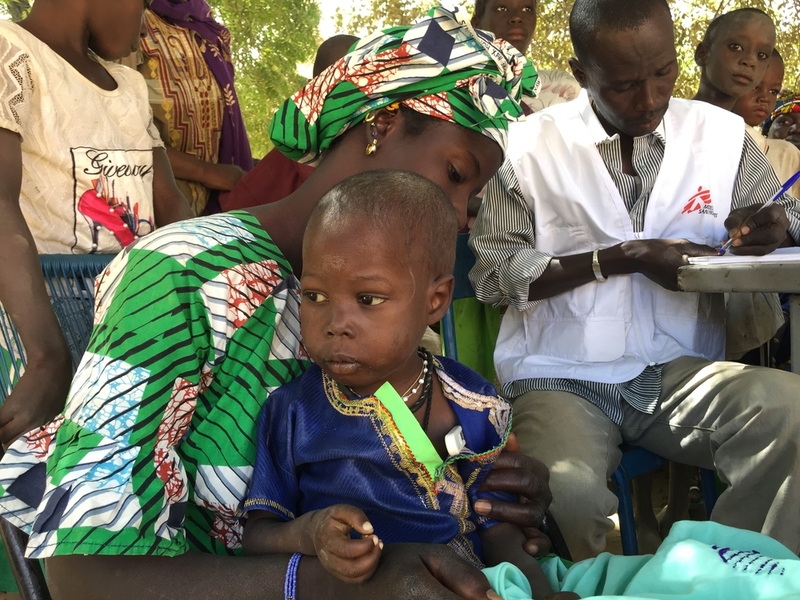 In 2018, MSF teams in the Mopti region carried out over 53,000 consultations, including 12,000 mobile clinic consultations, assisted 1,200 births, and treated close to 400 severely malnourished children. [iii] The G5 Sahel is a framework of cooperation created in 2014 by five countries (Burkina Faso, Mali, Mauritania, Niger and Chad) to collaborate in terms of development and security.